According to the Centers for Disease Control and Prevention (CDC), more than 100 million U.S. adults are living with diabetes or prediabetes. Of that number, more than 30 million Americans – nearly 1 in 10 – have diabetes. It’s a group of diseases that affect how the body uses blood sugar (glucose), which is not only an important source of energy for the cells in your muscles and tissues but is also your brain’s main source of fuel. Type 1 is a chronic condition in which the pancreas produces little to no sugar. Type 2 is a chronic condition that affects the way the body processes glucose. Prediabetes is a potentially reversible condition in which your blood sugar is high, though not high enough to be classified as type 2. Gestational diabetes is a form of high blood sugar that affects pregnant women but may resolve itself once the baby is born. 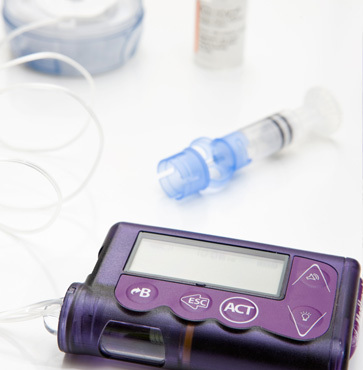 If you have been diagnosed with type 1 or type 2 diabetes and require insulin to control your blood sugar, PreHab Diabetes Services has the diabetic supplies you need to maintain your health. To learn more about the products we offer and how we work with your insurance company, call (334) 270-1630 or toll-free at (877) 473-7862, or you can request a consultation using our online form.